Miah Benton otherwise known as ADAB is co-founder of Cleveland’s diversely unique party, Heaven is in You. The meaning behind their moniker captures their intricate and sagacious philosophy. 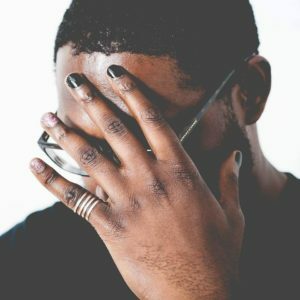 “That’s one of my favorite entries I’ve seen on it because it highlights some of my feelings in regards to my own identity as a black queer individual DJing house and techno in the Rustbelt. There’s a lot more tied to it that I could go into (I try not to use a name in vain) but for the sake of not talking far too much about it I’d say that’s the general idea behind what I attempt to conjure,” they say with a laugh. Eventually, they developed their own local event, Heaven is in You. Since summer 2015 Benton and Eric Sarley have been showcasing underground electronic artists and DJs from Northeast Ohio and beyond evoking the gamut of house, techno and electronic beats. They have booked a lengthy list of local talent, and also out-of-state artists such as Atlanta’s Stefan Ringer, Sneaks from Baltimore, Ithaca’s Sammus, Red Tailed Hawk Luna from Chicago, as well as Buffalo’s UVB76 and Ay Fast. For this Sequencer Soundcast you can expect “lots of weird spaced percussion woven with a colorful amount of bleeps and bloops. Hope y’all enjoy, muah!” You can catch them playing at Autonomen: Aktion II in Cleveland with Grey People, Nick Klein, and Miguel Enrique Alvariño at Nows That’s Class on Friday, Aug. 18. ADAB chose to not provide a track list for this soundcast.